Witual provides high quality virtual tours with affordable prices. Starting at $90 our virtual tours include shooting the panoramic images, the design and creation of your virtual tour as well as free hosting! We will help you better promote your properties or businesses online through full-service virtual tours, panoramic images and interactive floor plans. An increasing number of homebuyers or potential customers visit your website before taking a step to buy your property or services. Is your website ready? Through our high resolution 360° tours, your customers will be able to virtually visit your store or property by just clicking and dragging the images. Moreover, interactive maps or floor plans for your virtual tours will allow your clients to explore your place with a sense of spatial order. We can include as much information as you need, such as property details, description of views, amenities or even the model of the refrigerator in the kitchen. This information will be integrated to the virtual tour seamlessly for a better virtual experience. You can also use still panoramic images with elongated views to visually and stylistically enhance your website without adding any interactivity. If you don't have a floor plan or you have an old hard copy one, no problem! 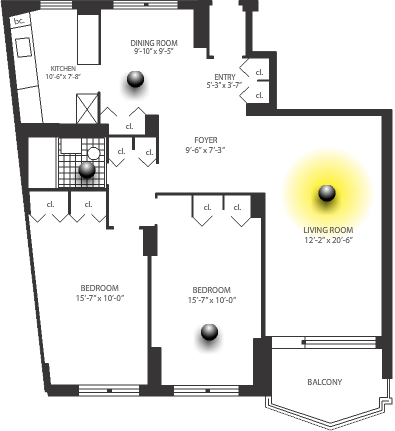 We will create your floor plan digitally to include in your virtual tour. Or, if you don't have a website, we can host your page on our website. Through the use of special photographic equipment and software, panoramic images capture a wide field of view. After processing with software final image can be upto 360° by 180°, which means all around in every direction. This type of image is also referred as 360 photography, spherical image or wide angle. Panoramic images can be used for many different purposes, they are great for both the interior and the exterior. You can be as creative as you want, we want to understand your needs and provide you the best service. Whether it is a real estate sale or a promotional image for a business, panoramic images are great to capture a 360 degree view. A couple examples of panoramic images are shown here: On the upper right, you can see a panoramic image taken from Lincoln Harbor Marina in New Jersey, Weehawken. This image was taken after a storm capturing the light coming out of New York City. This image is used in the virtual tour of Lincoln Harbor Marina, however it can also be used by itself for other purposes such as prints or web design. On the left, you can see another image taken from Jersey City, New Jersey, by the Hudson River. This image is processed as a "Little Planet" which has an extreme view angle causing the little planet effect. Once we decide on your needs, we will manage the whole process from photographing your property to delivering the customized end product for you to host on your website or ours. You will be surprised when you realize how simple this process will be! Don't wait any more to gain a competitive edge with the help of our services and custom designs, which will provide a unique online experience to your customers. This one time invesment will be the most cost-effective one that you will ever make to reach out to more clients or impress existing ones. viewer to the corresponding location. 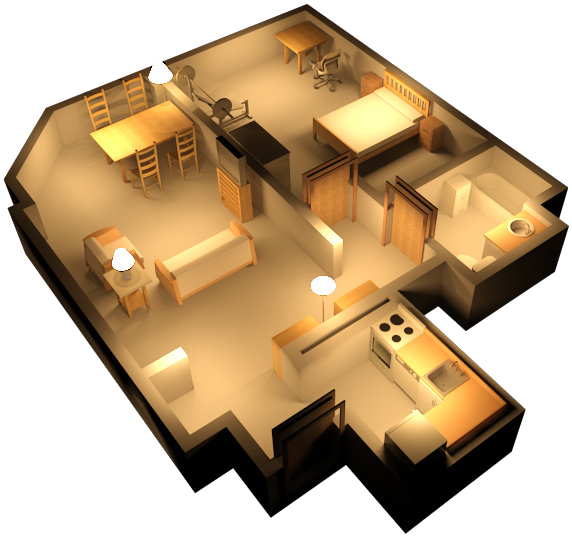 The other one is the 3D floor plan, where rooms lighten up as you hover over them with your mouse. Upon clicking these rooms, viewer will be taken to the corresponding location. You can check this brightening effect by visiting this virtual tour from our portfolio. It is also possible to animate the icons. A very common feature in virtual tours is the compass effect on icons. This effect incorporates an animated icon as the user interacts with the virtual tour and changes the view angle. As the viewer "wanders" around the room by clicking and dragging the mouse, the compass will continuously re-orient itself, reinforcing a better spatial perception. Interactive virtual tours are the ultimate end user experience. The next best thing would be to actually visit the physical location. 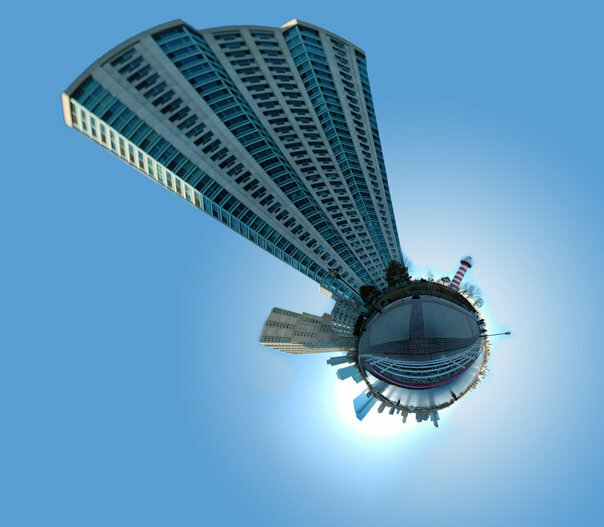 For the interactive virtual tours, panoramic images are converted to a cubic form and the user is allowed to click and drag on the image to change the viewpoint. This interaction is very similar to turning your head to look around you. If there are more than one panoramic image in multiple locations, a floor plan or a map is always useful to better visualize the space. These floor plans or maps will be used as a part of the interaction allowing the user to pick a location looking at a floor plan or map. We also suggest adding more information on the virtual tours, such as descriptions of certain areas or items in the virtual tour. Imagine a virtual tour of a living room which has paintings on the wall. It can be arranged in a way to have the user click on a painting, which will come out and fill the screen in larger size and higher resolution. 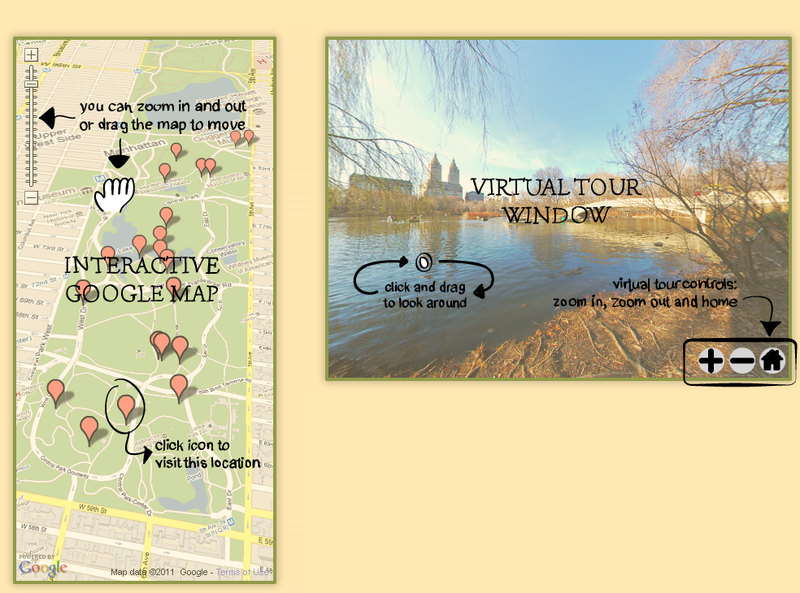 On the left hand side you can see a snapshop of a sample interactive virtual tour. Note the live Google map on the left side with the icons, each of these icons will take you to that location and you will see that through the virtual tour window. In this window you can click and drag to look around. As a young and energetic team, we are eager to meet with you and make this experience as easy for you as possible. We want to get to know you, understand your needs and create tools that will best suit your marketing strategy. Please do not hesitate to contact us to get free information and ideas. We will be glad to talk you through various options that would help enhance your existing online presence. You are good at what you do, let us help you to present it. Here, you can find a list of features that are available for your virtual tour. Features are not limited with below, don't hesitate asking about any other features you might find useful.